Peter Bryer: Mobile Foresight: How will Microsoft handle the growing problem of “Pinflation?” WP7's Live tiles makes it too tempting. 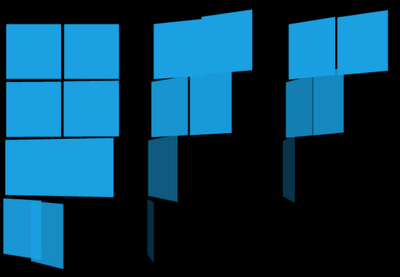 How will Microsoft handle the growing problem of “Pinflation?” WP7's Live tiles makes it too tempting. Dedicated Windows Phone 7* users know this problem well: wall-to-wall tiles. They just keep growing, and growing, and growing. Live Tiles in Windows Phone is a great feature for sure. These widget-like large, square icons can change to reflect the content underneath. Weather tiles that are constantly updated. Traffic tiles. Radio station tiles. Reminder tiles. E-mail inbox tiles. News tiles. Financial tiles. Map tiles. Oh, miles and miles and miles of tiles. Let’s call the problem "Pinflation:" the extremely tempting and somewhat addictive ability to pin anything and everything to the homescreen in WP7. So from a usability point of view, I have to wonder if Microsoft has some plan to stuff the worms back in the can. Live Tiles are smooth, but I wonder if they can be a little bit organized. Miles and miles and miles of tiles. Has Microsoft created a monster?